An economy can skip a heart-beat now and again; it can even have an irregular rhythm - although unhealthy it is not fatal. Stopping a heart is another matter. In November 71,000 Canadians lost their jobs. For those families, their economic heart has stopped. Rather than do anything to prevent fatal economic heart-attacks, Mr. Harper's team was busy wiretapping his opposition. He suspended parliament to avoid parliament. The Prime Minister's economic plan was to, "invest in the stock market". 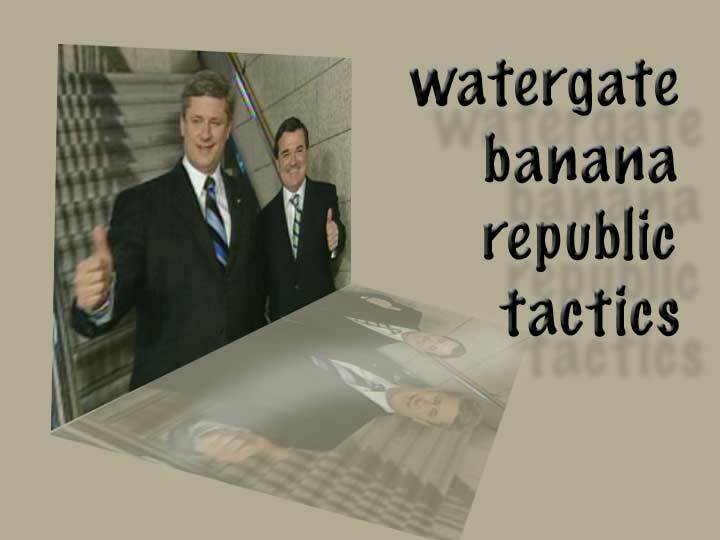 Watergate and banana republic tactics are more interesting to Mr. Harper than helping Canadians.